This recipe has a shorter ingredient list than boxed mix. There are seven, compared to Aunt Jemima's seventeen, not including their list of "enriched flour" ingredients. Seventeen! You will find this recipe to be just as easy as boxed. A double batch is a great idea because they freeze really well for an even quicker breakfast in the future. Mix the dry ingredients well in one bowl, and whisk the egg, milk and vanilla in another. Stir the wet and dry ingredients together and let the batter rest for at least ten minutes. Coat a griddle with non-stick spray and heat it up. (I use olive oil in a pump sprayer from Pampered Chef.) Stir in the vinegar, folding the bubbles into the batter. Drop batter onto the griddle by spoonfuls. When the bubbles break, the bottoms should be golden brown. Flip the pancakes and brown the other sides. Serve with butter, syrup, or blueberry sauce. Heat the sugar and blueberries together in a sauce pan until bubbly. Serve immediately. This recipe was shared at Make Your Own! Monday. I am going to try that blueberry sauce. Sounds yummy. 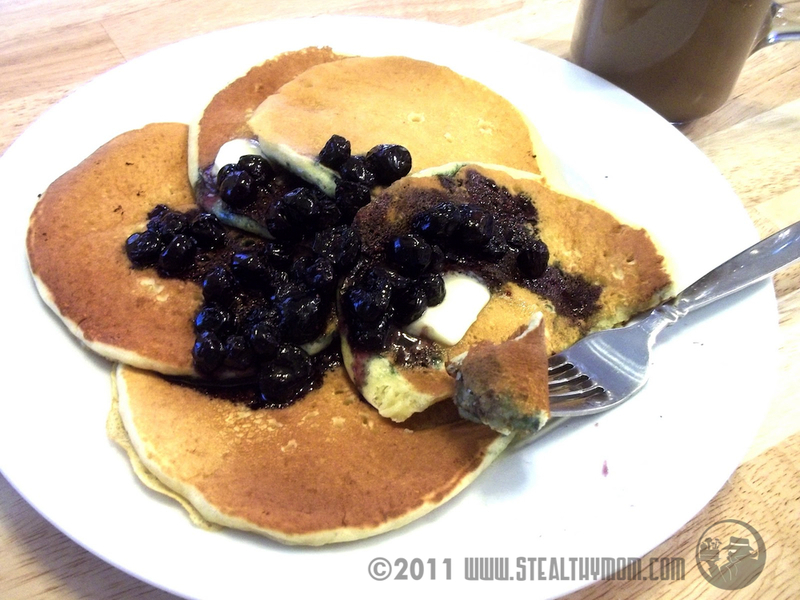 I have my FIL's pancake recipe that I use, homemade is so much better than boxed. I sub out half the white flour for whole grain wheat and no one complains. I also like to serve it with strawberries and coconut. Much tastier and healthier than syrup.